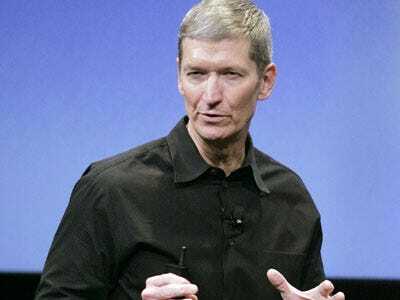 Apple is giving COO Tim Cook a one time $5 million bonus as a thank you for “outstanding performance in assuming the day-to-day operations,” while Steve Jobs was out.He also received 75,000 restricted stock units. At today’s price of $226 that’s worth $17 million. Add it up and Tim is looking at a $22 million bonus. That’s more than what Tim received for all of 2009, when his compensation was $14 million. Steve Jobs clearly doesn’t want to lose his right hand man. Unfamiliar with Tim? Catch up here.